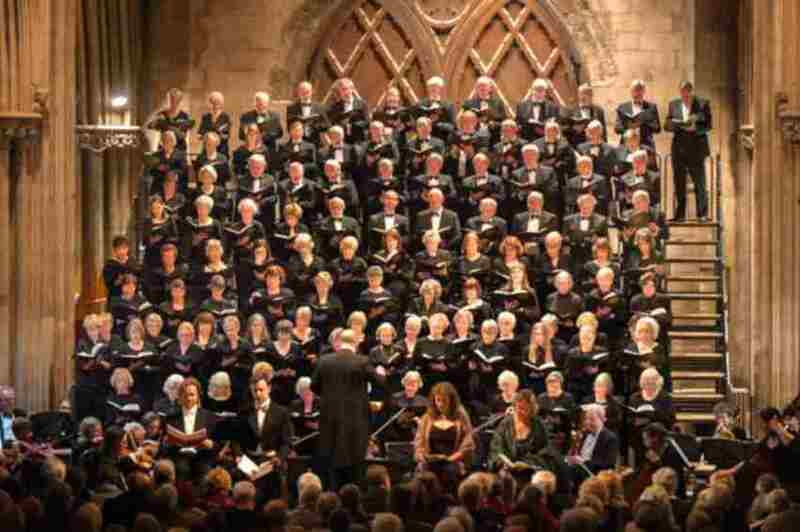 Lichfield Cathedral Chorus is a choral society based in Lichfield Cathedral. The chorus has around 120 members and performs two or three concerts each year with orchestra or organ to large audiences. Our annual Christmas Carol Concert with the Salvation Army Cannock Citadel Band is hugely popular. If you enjoy our concerts, why not consider becoming a patron to help support our work? Since its composition in 2003 as a commission for the Hertfordshire Chorus, Will Todd’s Mass in Blue has been widely performed both in the UK and further afield, and has quickly established for itself a place in contemporary choral repertoire. Scored for soprano solo, four-part chorus, piano, bass, drums and optional alto saxophone, it offers a fine and exciting reworking of the Latin Mass in modern idiom. If you have heard the work before then you will already know that you are in for a treat. If it’s new to you then come and have fun with Lichfield Cathedral Chorus and their Musical Director, Ben Lamb, as they enjoy a summer evening of Jazz and Blues.